That’s hard to disagree with, and I certainly don’t. If that’s what it means, then I’m 100% for it. But some people think Net Neutrality means that the internet shouldn’t be different for people who have little money and people who have lots of money. Or that internet providers shouldn’t be able to make partnerships with other companies to provide bundled services. I have never seen any other business that follows these rules, so I’m not sure why we’d expect it on the internet. When you buy a phone plan, you can buy a pre-paid plan, a medium plan, a family plan, or if you have lots of money you can get an all-you-can eat plan. Those are offering tiers, and they’re products that the provider sells. Them coming up with new ones is what they’re supposed to do as a business. And if they decide to partner with Volvo or Spotify to help make their (and their partner’s) service better, we don’t see that as some kind of attack on our freedom. And it’s the same for lots of businesses. You can buy yearly plans for gym memberships, or lifetime plans. You buy VIP tickets at concerts. You can get the base model of your car or you can get a car with all the options. The reason this is all ok is that we have the option to buy something else instead. For Basic Access Rights, being able to Google things and get instant (unfiltered) answers is arguably a human right at this point. Same with using Wikipedia, or any of the many other core internet infrastructure sites. Having all citizens have this level of access to the internet should be the goal of any country, and if any private enterprise (or government regulation) interferes with that goal it should be opposed. And that brings us to Fostering Competition. The reason it’s ok for businesses to offer lots of tiers and have random partnerships with different companies is because they’re doing it to be innovative, to make more money by offering value to their customers, and if their customers don’t like it they can just move to a competitor. That’s a beautiful thing. Both that they are free to try lots of different things, and that you can punish them for it by leaving. The problem is when you have monopolies, or monopoly-like services, that are 1) essential for human flourishing, 2) don’t have (m)any competitors to enable choice, and 3) they attempt to force people to use certain sub-optimal options that benefit them and not the user. That is the combination we need to avoid, and the fulcrum of the entire thing is consumer choice. 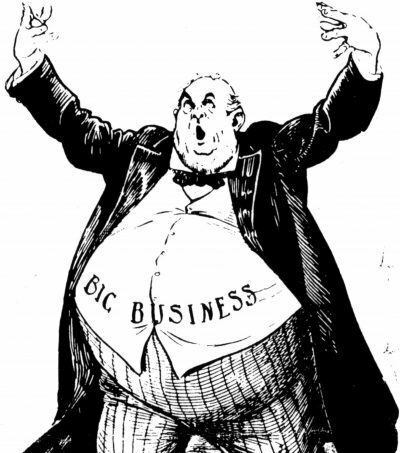 I think business offerings and tiers are red herrings that take our eyes off the fact that big companies are using monopolistic practices to squash smaller competitors, and overzealous government regulation is keeping the bar too high for new entrants. The other issue is that government regulation can actually cause harm when done incorrectly. There are often unwanted externalities that do more harm than they help. The 2008 crisis was fundamentally enabled by a positive desire to get more low-income families to become homeowners, for example. But when the government told the financial industry that they needed to start making sub-prime loans, the unscrupulous stepped in and we see what happened. And it all started with a government play that probably shouldn’t have happened. I’m not an expert in small business regulation, but I think we probably have the same situation with enabling people to quickly go into business doing x, y, or z. If you have to fill out 741 forms, carry 23 kinds of insurance, get inspected constantly by 17 different organizations, etc.—you’re basically setting bars that only rich people can reach. So, just like the housing crisis, you’re trying to do a good thing by protecting people from harm, but you’re actually stopping everyday people from becoming business owners and competing with the big companies. And here’s the kicker—the big companies spend TONS of money lobbying for “safety” regulations that keep the new companies out of their markets. So there are thousands of regulations that hurt potential new business owners—and ultimately the people—all under the guise of doing the right thing. Bottom line here is that it’s possible for regulation to go wrong—both in an evil way controlled by lobbyists and corrupt government, and by well-meaning legislation that creates unanticipated externalities. Net Neutrality shouldn’t mean the same internet for everyone. That’s not how anything works, and it’s not how the internet should work either. Net Neutrality should absolutely mean fair and useful internet for everyone, meaning we must guarantee affordable access to core internet services. And every government should be protecting that right for its citizens. Government regulation can both help and harm, and there’s no single regulation that “is Net Neutrality”. Net Neutrality is a concept, not a specific law. Companies should be free to innovate, bundle, and offer all types of services to different types of customers. It’s everywhere in the non-internet world, and there’s no reason it should be different for internet companies. The key thing that makes it ok for companies to innovate and offering exclusive deals and tiers for different customers and partners is that you can always just use someone else. When you offer inferior service to customers that don’t have the option to leave, you’ve broken the entire model. Many people are fiercely engaged in this debate without realizing the multiple (and often seemingly conflicted) realities that are in play. It’s a lot more complex than many would have you believe. Take the time to think through the concepts yourself.